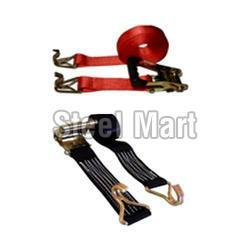 Our broad range of Lifting Items includes wire ropes, lifting equipments, chain pulley blocks and polyester webbing slingsis widely appreciated for its functionality and performance. We offer these accessories at most reasonable prices, ensuring long service life without any maintenance for years. These Pulley And Lifting Accessories enlists Chains & Wire Ropes, Lifting Equipments & Accessories, Nylon/Polyester Webbing Slings and Chain Pulley Blocks & Electric Hoists.